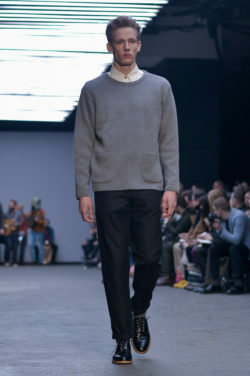 Bow down to Oliver Spencer. 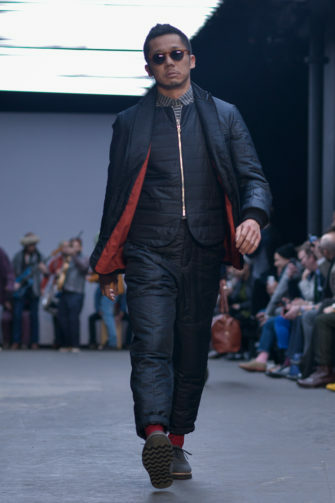 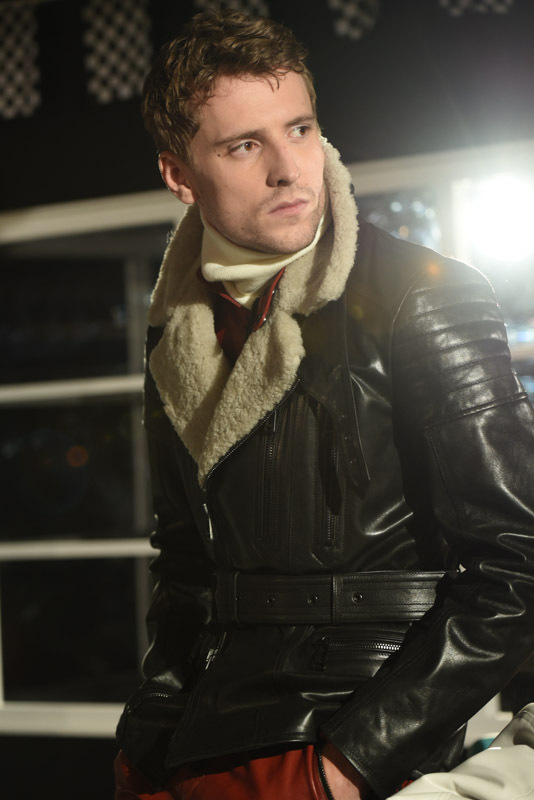 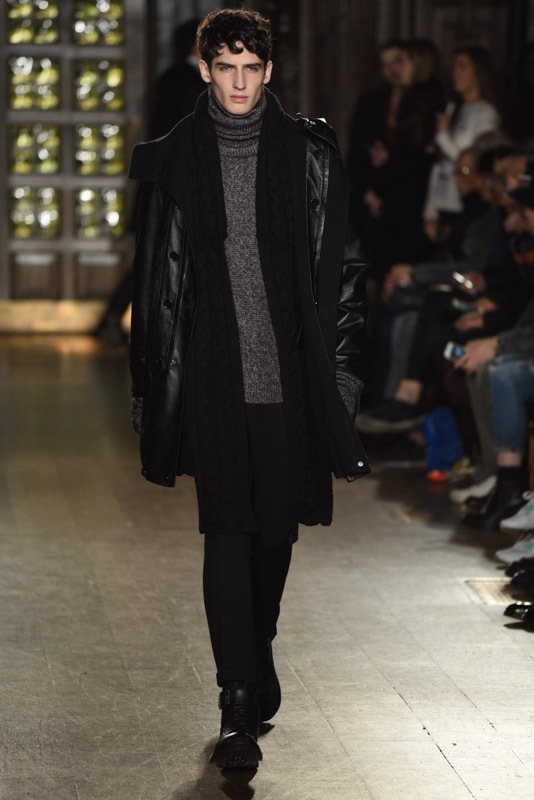 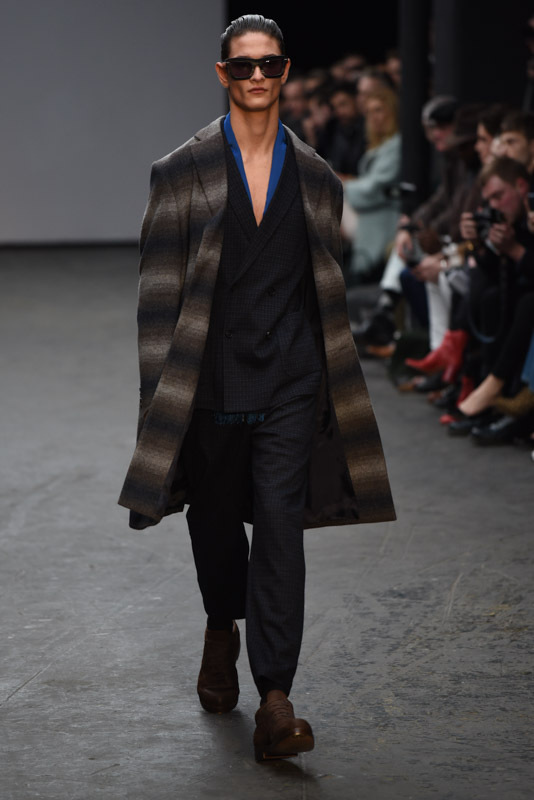 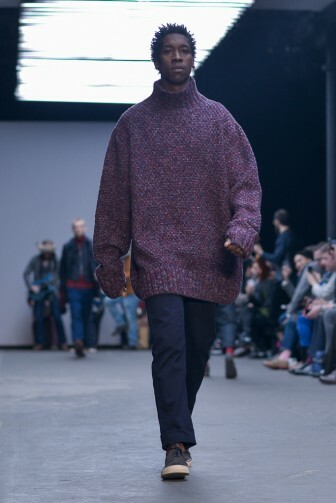 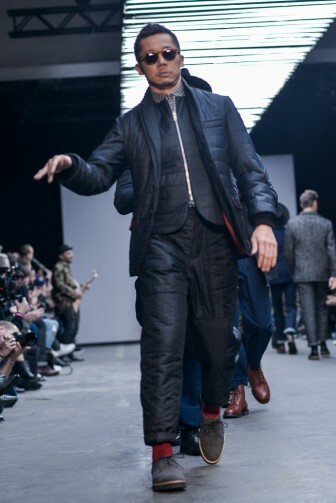 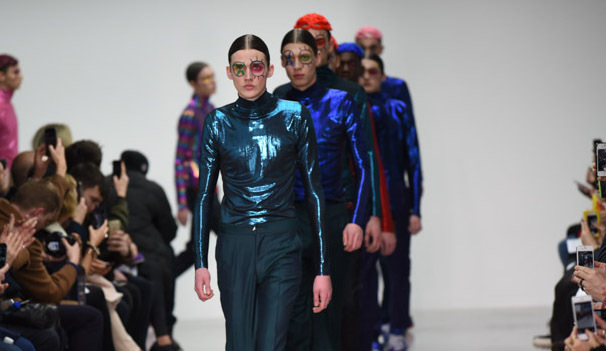 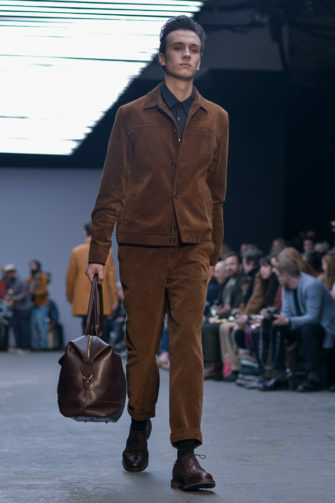 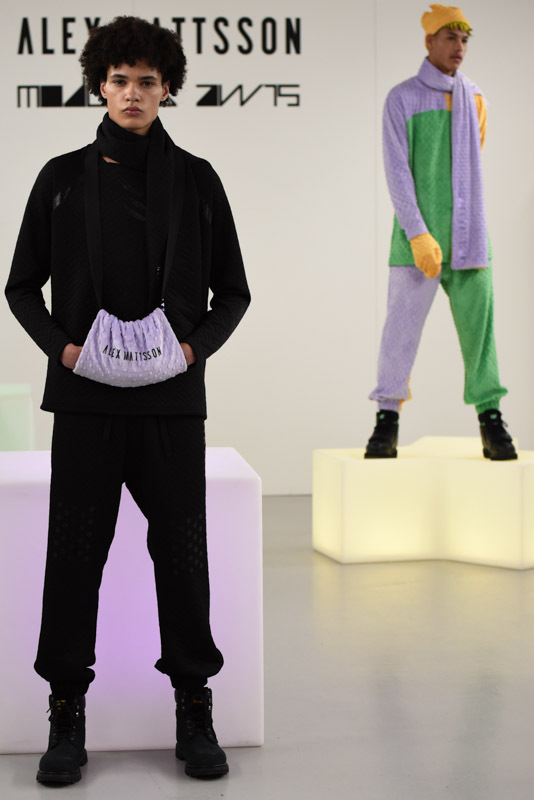 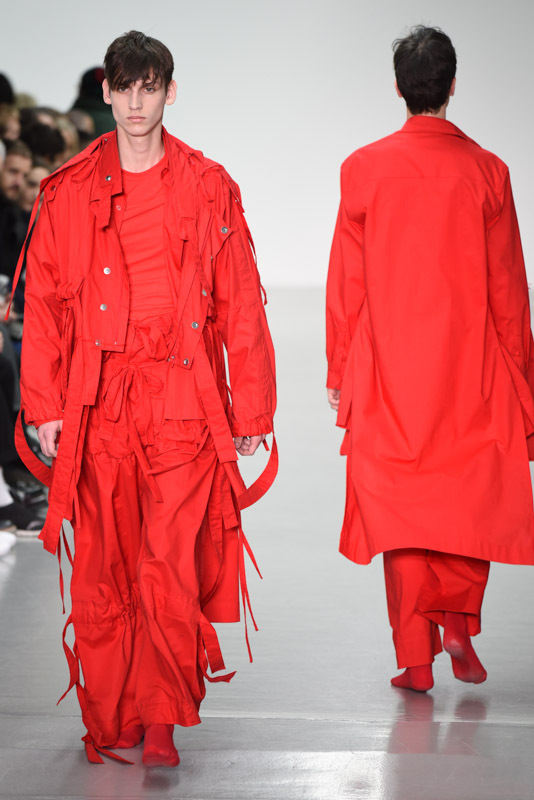 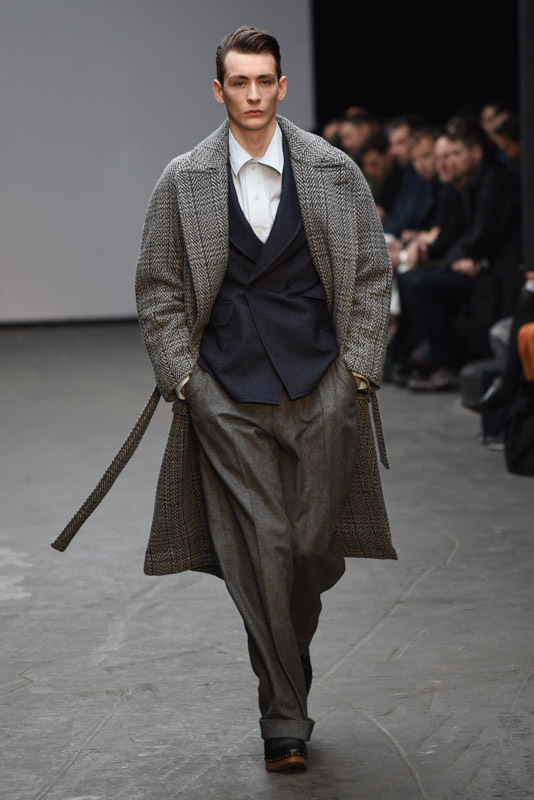 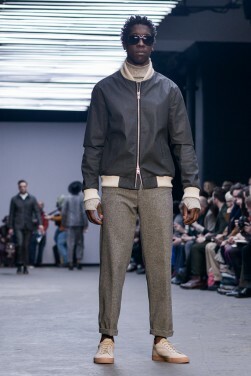 This collection raised the bar for LC:M autumn/winter 2015, and with inspiration from artist David Nash, the line incorporates organic and natural elements with luxury fashion. 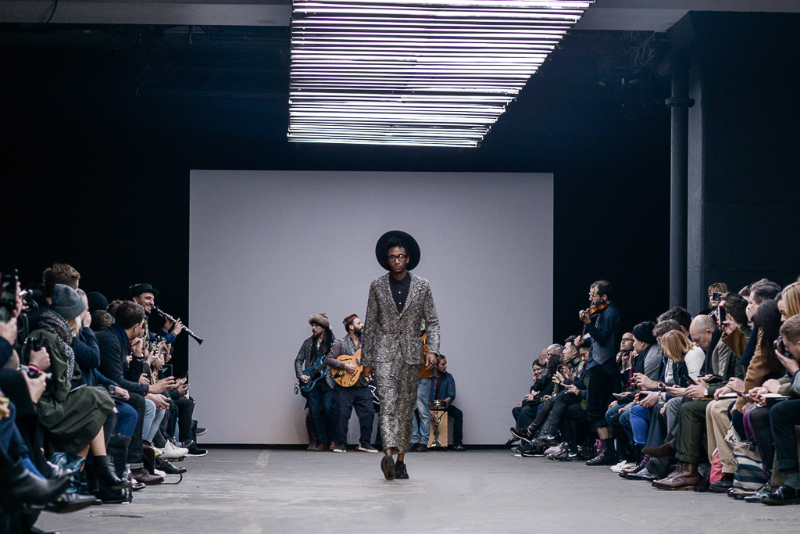 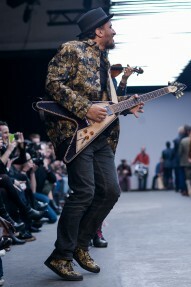 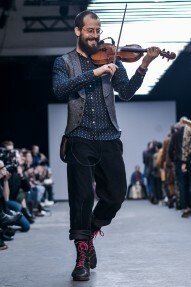 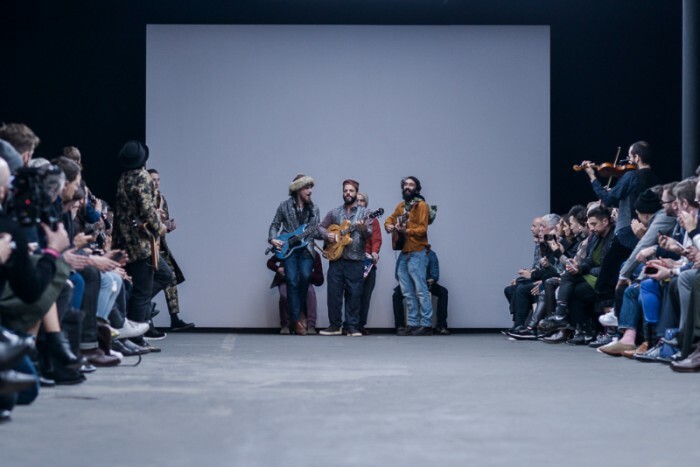 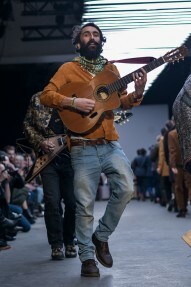 The Turbans provided a gypsy soundtrack for the show; an invigorating and enjoyable ambiance was created from the offset. 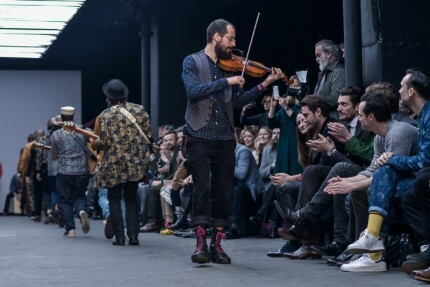 With queues surrounding The Old Sorting Office, Spencer did not fail in providing the audience with an unforgettable experience. 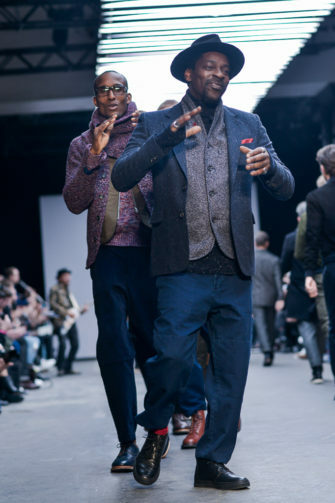 With a wide breadth of age and an international cast of models, the sheer versatility of the range was demonstrated. 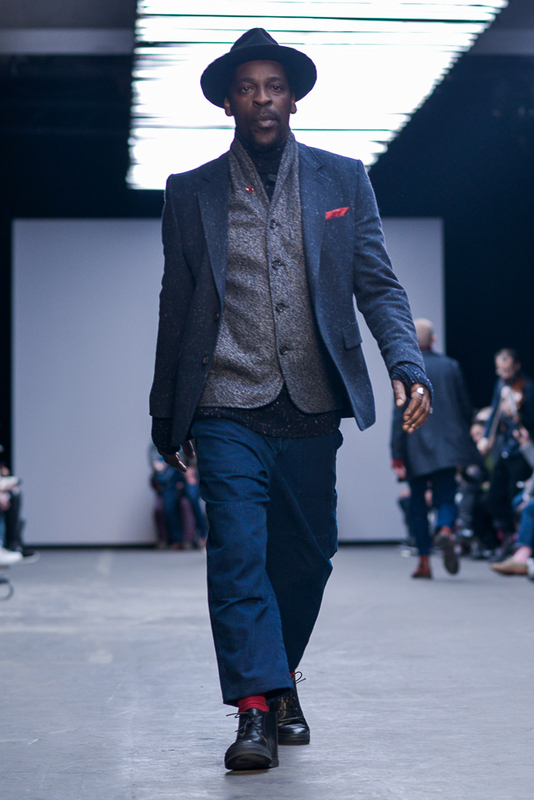 Pieces that instill ambition and determination were paraded around the space – we wanted to wear everything! 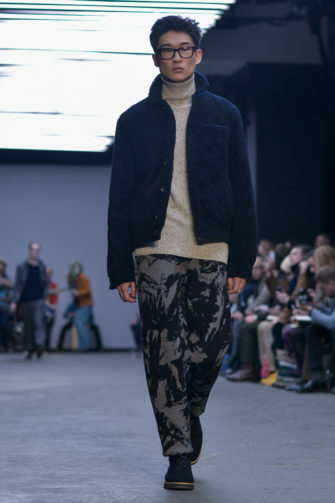 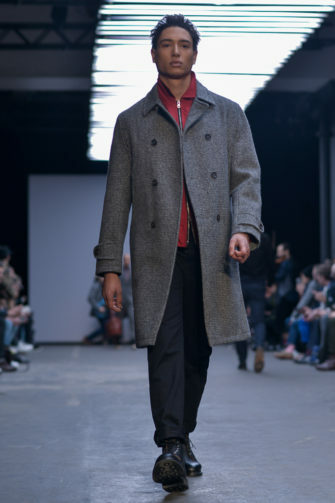 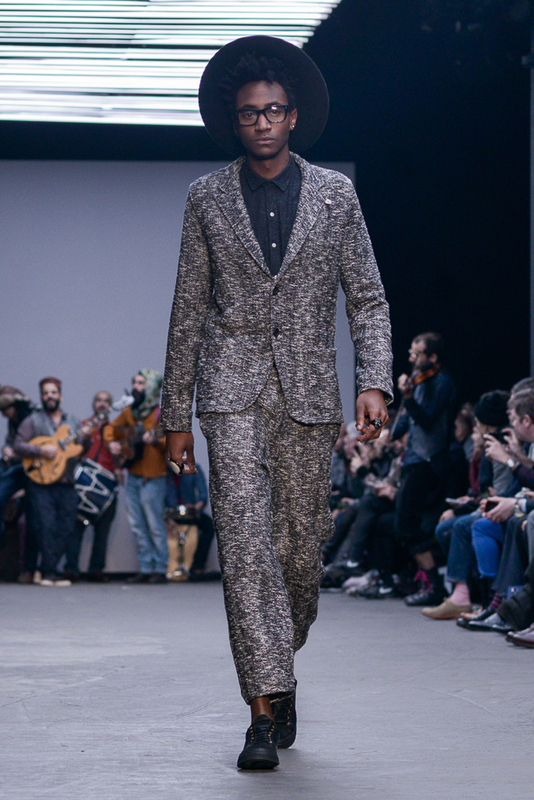 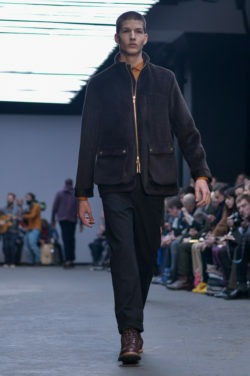 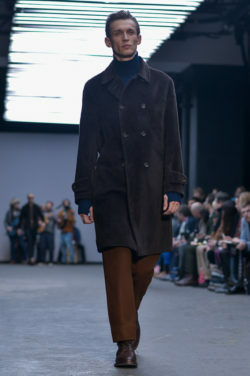 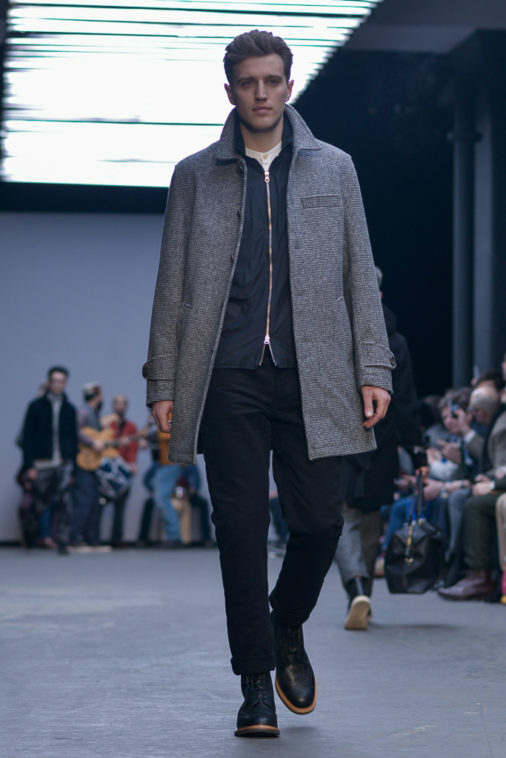 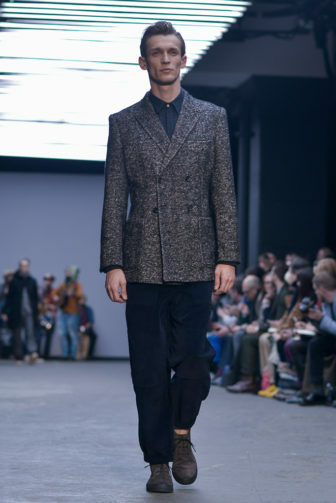 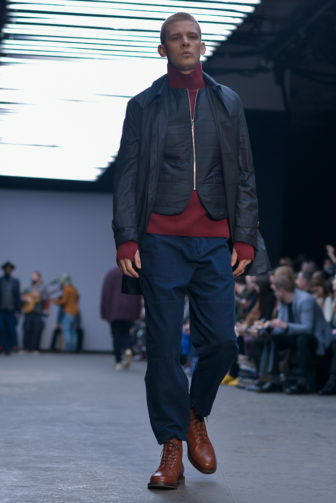 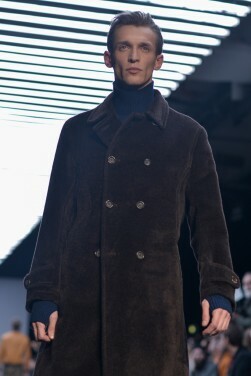 With a vast array of materials, from alpaca wool to denim, each item became a statement. 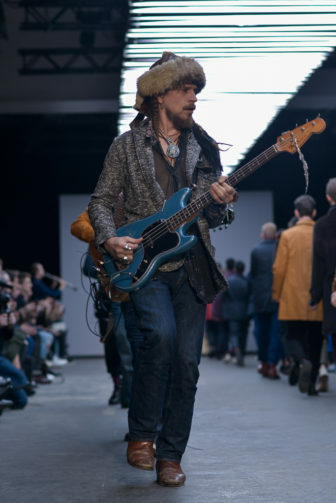 A style to suit every occasion; wear to work, wear to walk, wear to the bloody Ritz. 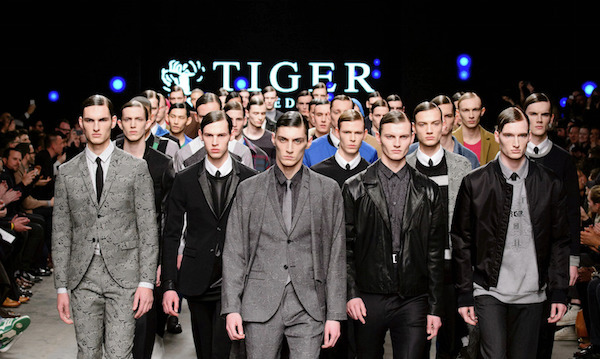 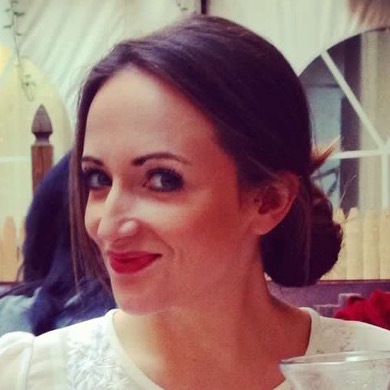 This is a line suitable for the “man” and not the “boy”. 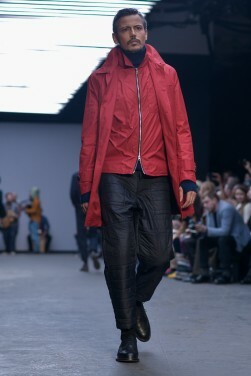 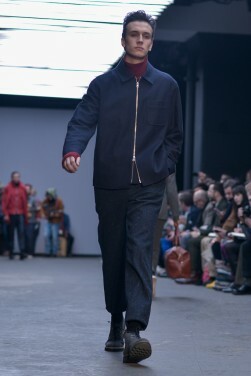 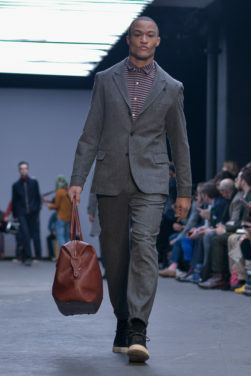 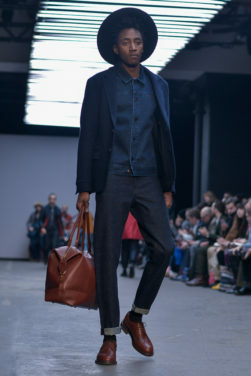 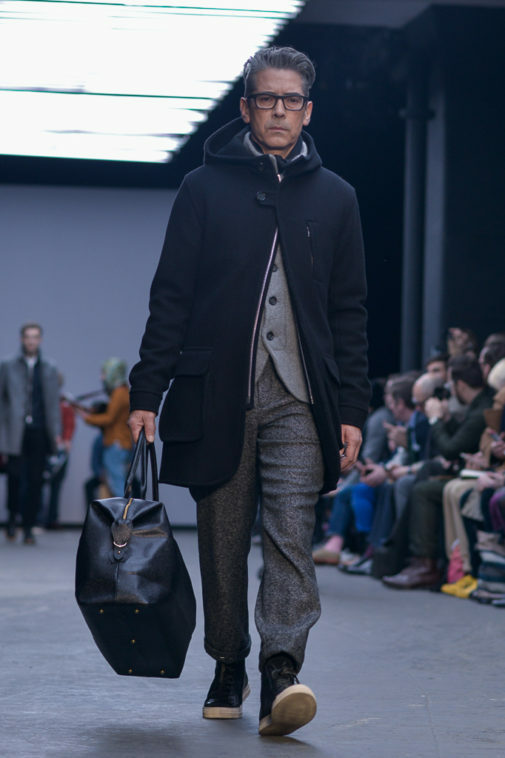 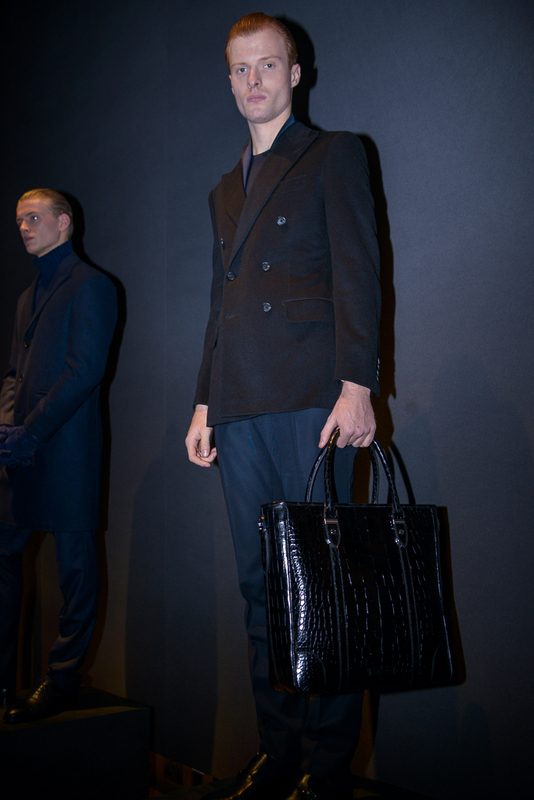 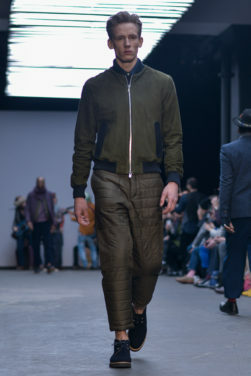 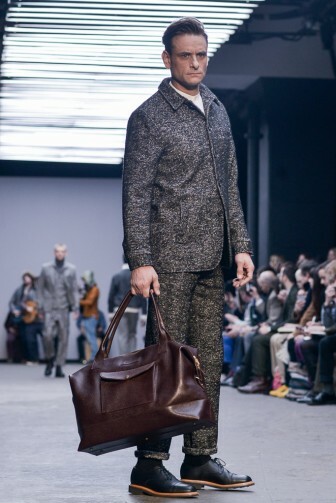 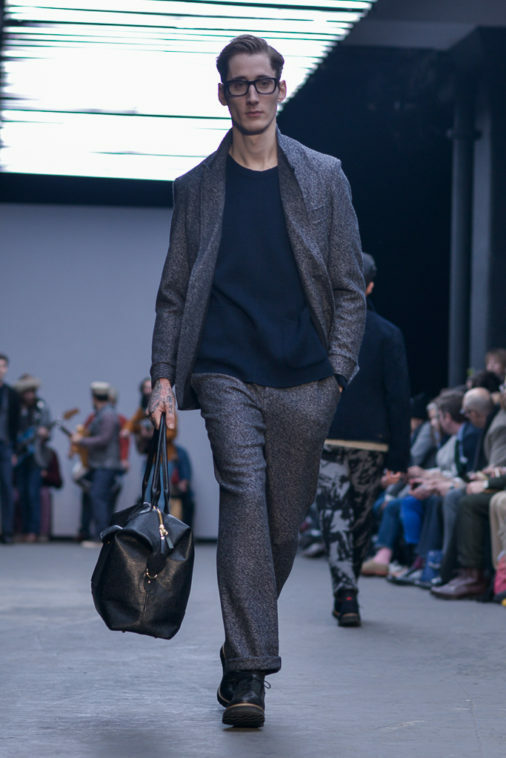 British and Italian-sourced materials made up the bulk of the collection, combining style and practicality. 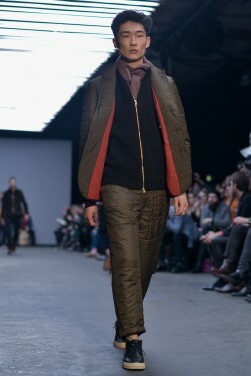 The influence of natural elements can be seen in the heavy use of the earthy colour palette. 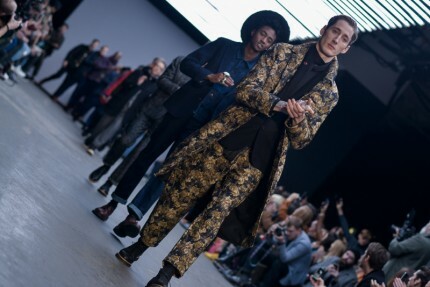 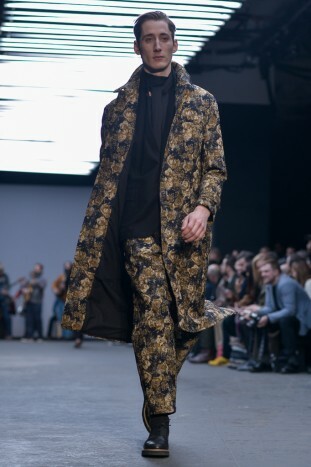 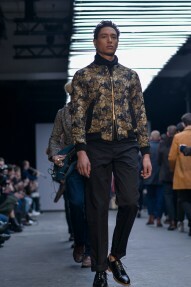 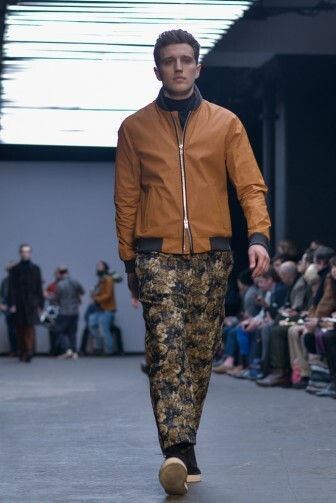 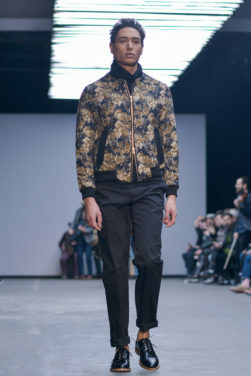 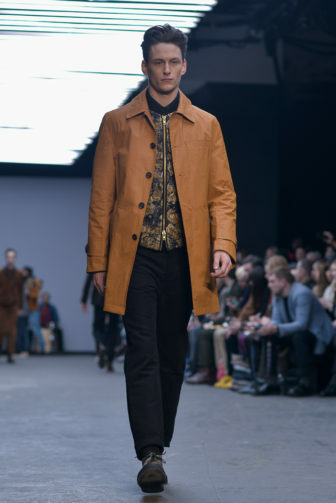 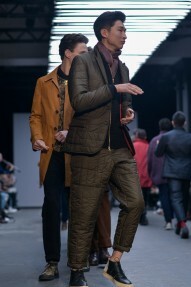 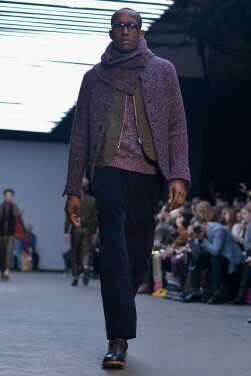 Masculinity exudes from the collection, from the archetypal grey pea coat to the golden floral bomber jacket. With a focus on quality tailoring, Spencer provides us with a range that we would be proud to dress our fellas in. 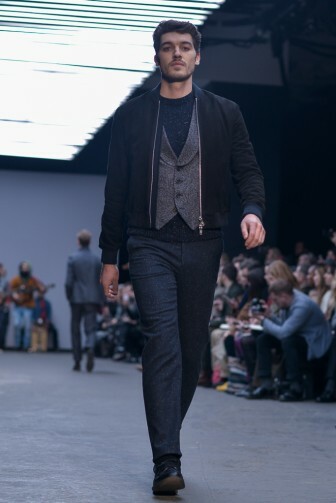 Talking of which, David Gandy found himself in the audience and should he have happened to buy any of the pieces in the collection, he can be our fella.